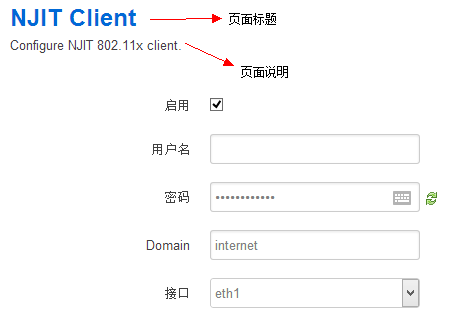 26         echo "NJIT Client has started." 41     echo "NJIT Client has stoped." 20     This package contains LuCI configuration pages for njit8021xclient.